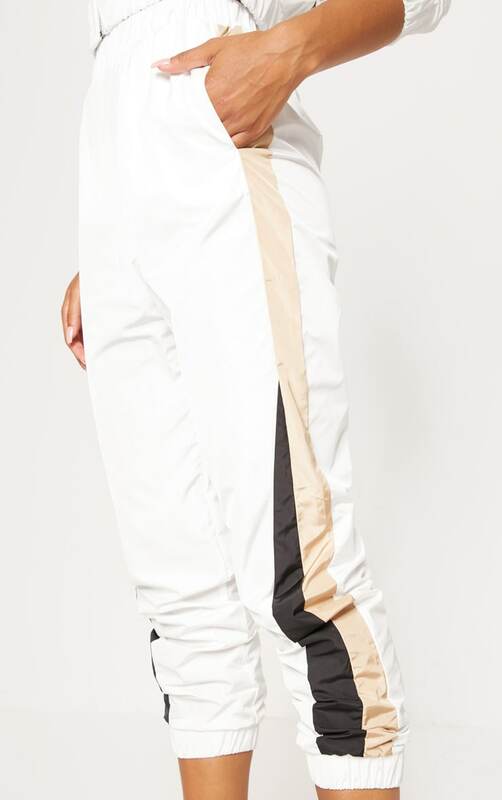 Update your off-duty look with these 90s inspired tracksuit joggers. 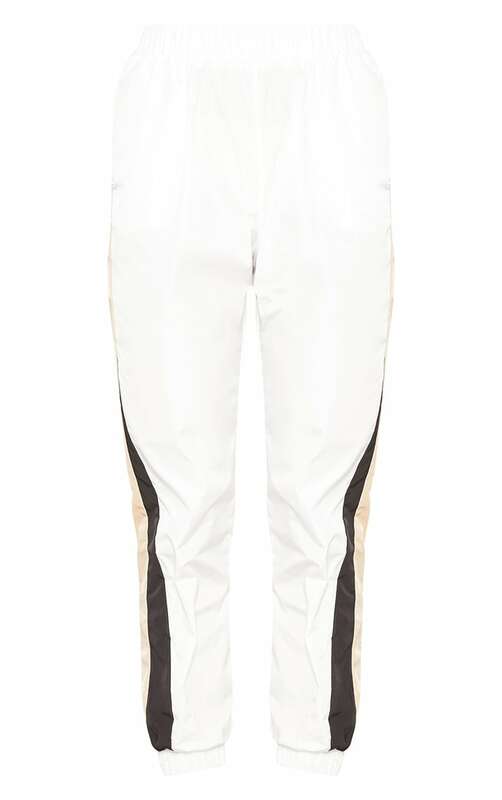 Featuring a white material with contrasting stripes on the side and an elasticated waistband. Style these joggers with the matching jacket and fresh kicks for an ultimate off-duty look.